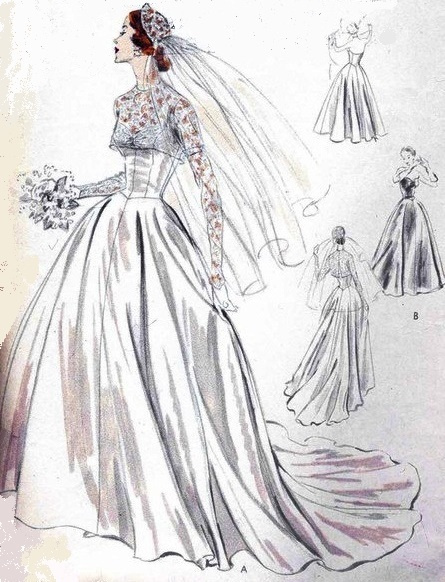 If I were to get married all over again, I would love to get hold of an original vintage wedding dress pattern and have my wedding gown made to measure out of my chosen fabric. With this thought in mind, I did a bit of internet searching and found a company called So Vintage Patterns which is based in America. The company ships worldwide and payment is accepted with Paypal, American Express, Visa and Mastercard. 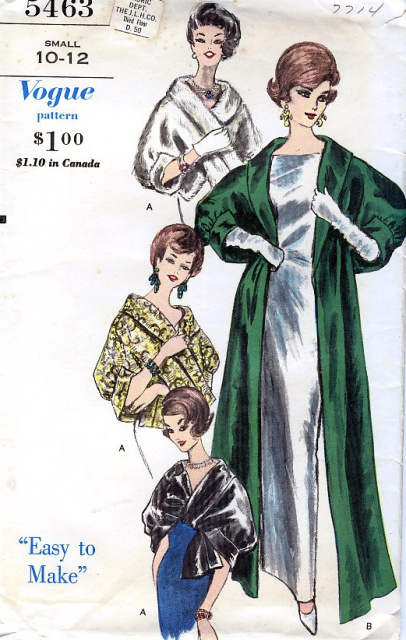 So Vintage Patterns has over 4,000 vintage dressmaking patterns to choose from, all divided into easy-to-find sections. The company also supplies instructions as to how to re-size patterns. If you are looking for a particular designer, era, style, etc. let them know and they will check their stocks or look out for it on your behalf. Prices vary depending on each particular pattern, but at the end of the day you will be going down the aisle in a real 'one off' wedding gown, vintage in style, fitting like a glove and in the fabric of your choosing. You can find the So Vintage Patterns website HERE. Next stop....to find a good fabric shop (possibly vintage), and a great dress maker! Such fabulous designs from the oh so stylish bygone years. I love vintage patterns and have a collection of 1950s & 1960 dress and coat patterns that I one day hope to learn to resize and make at least one thing, as we all need a little piece of vintage glamour! Etsy often has vintage patterns and even Ebay but I love the sound of So Vintage Patterns actaully searching by era and designer.